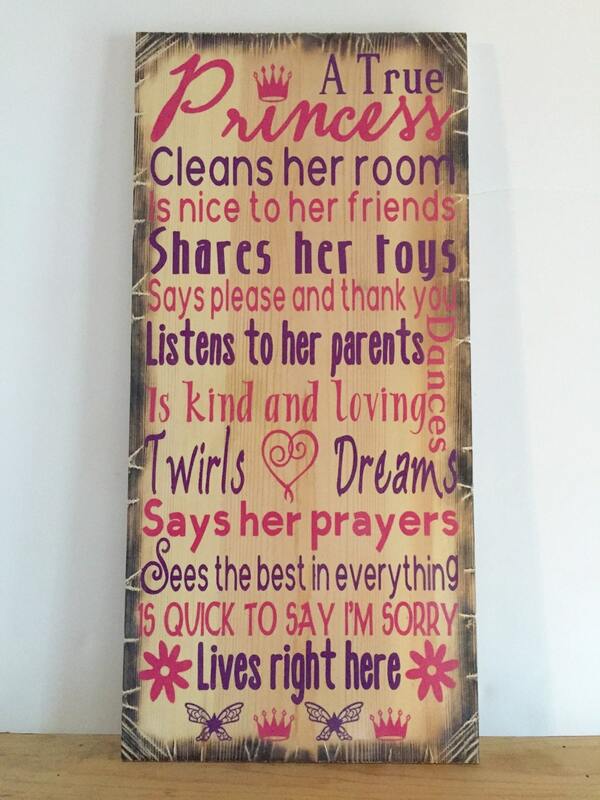 A True Princess Wooden Sign 12"x24"
This sign is perfect for that special little girl who needs a sweet reminder of a few things. It is 12"x24". This can be ordered in your choice of color combinations, but what is shown is pink and purple paint on a whitewash stained piece of wood.